Research firm Canalys predicts that by 2019, there will be 6.9 billion mobile phones in the world, in the hands of nearly 75% of the Earth’s population. * With growing demand in new markets and so many options for monetization, answering this question can be complicated. 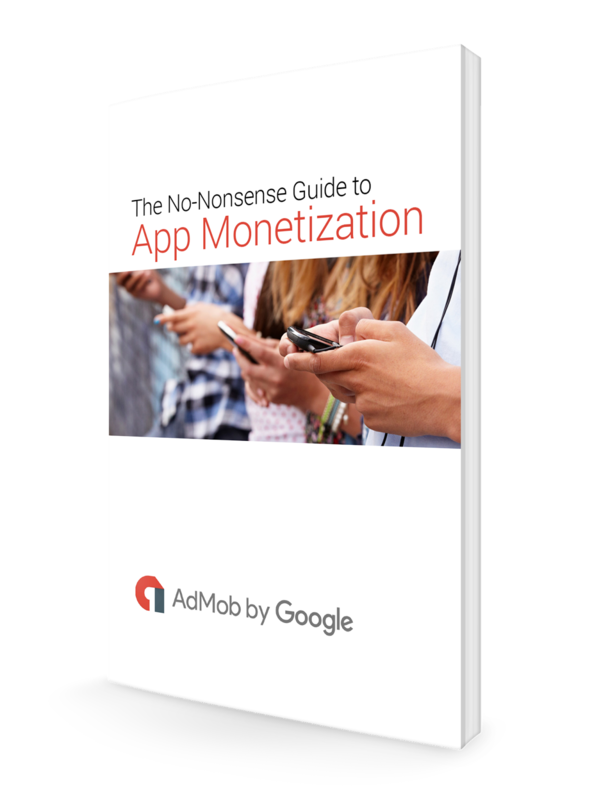 Today we’re launching a new ebook “The No-nonsense Guide to App Monetization”, the latest in our No-nonsense series. This guide is designed for app developers starting to consider how to monetize their app. It provides a comprehensive overview of app monetization and shares helpful examples and practical tips to get you started. Also, within the next few weeks, we’ll be releasing blog posts with app developers sharing candid stories and helpful tips on app monetization. Our next post will highlight the tactic Christoph Pferschy, the app developer behind Hydro Coach, used to scalably release 22 localized versions of his app. Until then, for more tips on app monetization, be sure to stay connected on all things AdMob by following our Twitter and Google+ pages. Originally posted on the Inside AdMob Blog.